This item is a script for the movie "Dancing About Architecture," later re-named and released as "Playing By Heart." 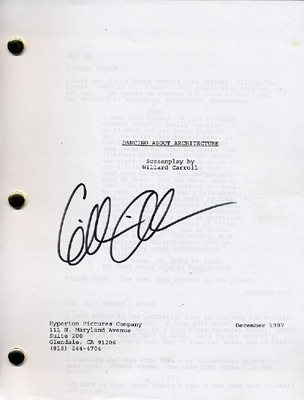 The script is dated December 1997 and was written by Willard Carroll. The script is signed by Gillian Anderson and comes with a Certificate of Authenticity from the Official Gillian Anderson Website.